Fabulous Summer Sunrise On Vorderer ( Gosausee ) Lake. Impressive Morninf Scene Of Austrian Alps. Upper Austria, Europe. Beauty Of Nature Concept Background. Fotos, Retratos, Imágenes Y Fotografía De Archivo Libres De Derecho. Image 116551250. 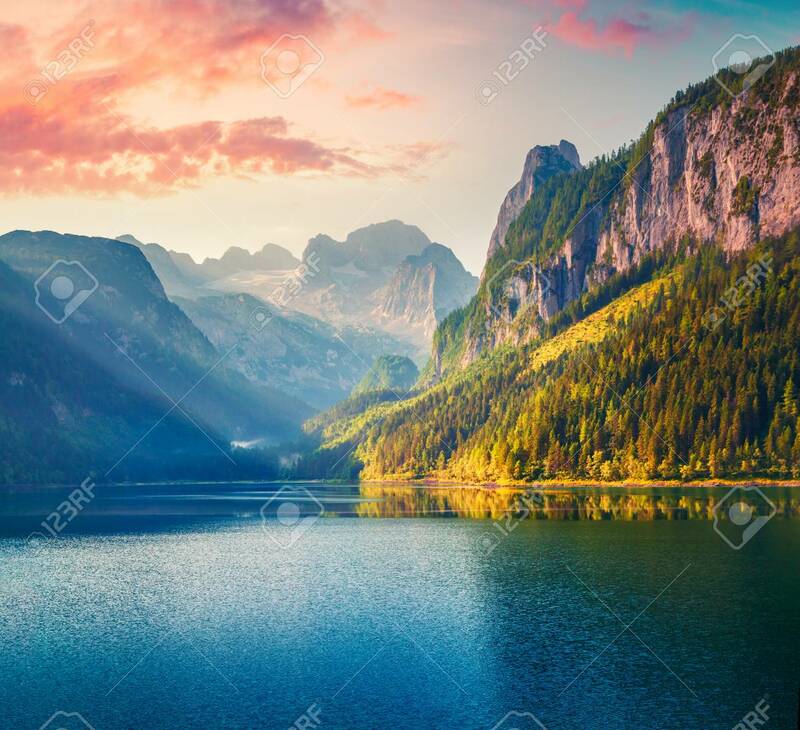 Foto de archivo - Fabulous summer sunrise on Vorderer ( Gosausee ) lake. Impressive morninf scene of Austrian Alps. Upper Austria, Europe. Beauty of nature concept background. Fabulous summer sunrise on Vorderer ( Gosausee ) lake. Impressive morninf scene of Austrian Alps. Upper Austria, Europe. Beauty of nature concept background.